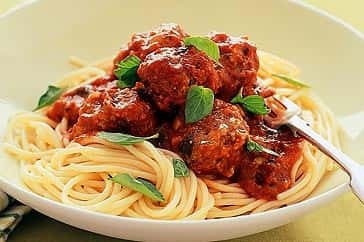 Three Two Ounce Homemade Meatballs Served with our Homemade Marinara Sauce, Your Choice of Pasta and Vegetable Side. Feeding the Family? Order this Entree Under Family Value Entrees.